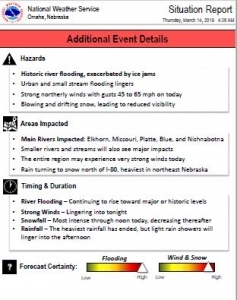 Numerous headlines remain in place related to the strong area of low pressure over east central Nebraska. 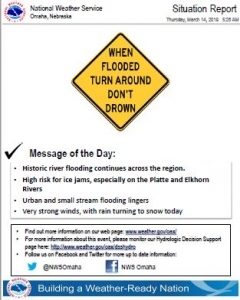 Widespread moderate to major flooding is ongoing, with the worst flooding being experienced in northeast Nebraska where several roads remain closed. 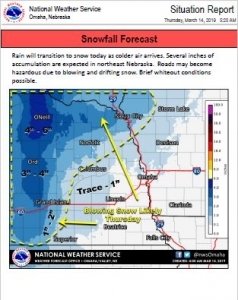 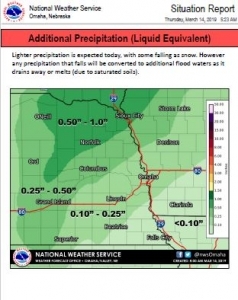 Rain is expected to change to snow in northeast Nebraska today with 1 to 4 inches possible. 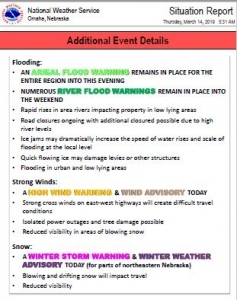 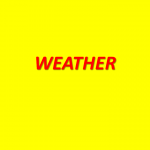 A winter storm warning continues today. 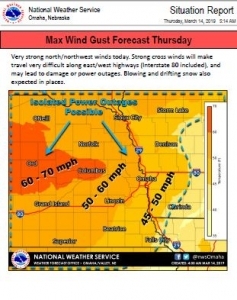 Strong northwest winds will continue to increase today to 30 to 45 mph with gusts 45 to 65 expected. 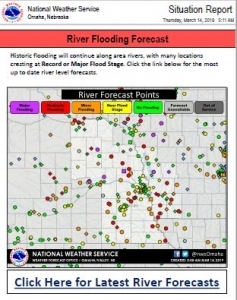 Friday through Wednesday moderate to major flooding will continue through the weekend for many streams. 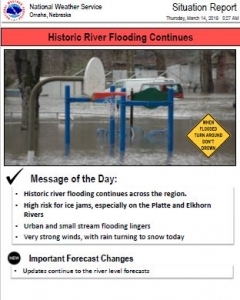 Flooding will continue along the Missouri River into next week.